The slow saga of Jennifer and Khalil's escape continued once again on Black Lightning Season 2 Episode 9. For an entire town searching for two missing teens, their deductive reasoning and luck had consistently come up short. Even with Thunder, Black Lightning and Gambi on the case (i.e. two super-powered metahumans and a resourceful agent), this trio couldn't stand a chance against convenient plot devices. Jennifer and Khalil's adventure dragged on for another day. And unfortunately, we as fans were left with a filler midseason finale in the process. 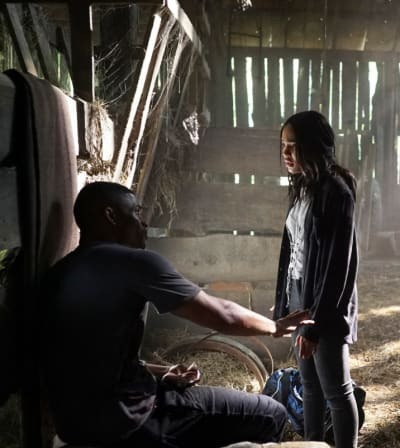 "The Book of Rebellion: Chapter Two: Gift of the Magi" stuck true to the alarming trend that's been posing a problem throughout Black Lightning Season 2. In particular, the pace dragged on and filler plots were in excess. What drew in fans to Black Lighting Season 1 was its high-tension action and moving storytelling mixed in with its deep character building. The latter stayed consistent (it's still one of the glowing qualities), but the plot's momentum decreased significantly to the point of stagnation. It's almost as if the show hit "pause" to stretch minimal stories. Certain arcs, like the battle in South Freeland, could've wrapped up in a single episode instead of extending to fill two/three chapters. 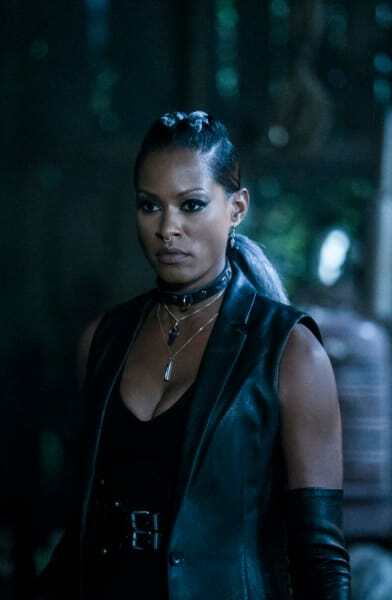 Time and development built up antagonists and minor characters that no longer make a difference to Black Lightning's overall story. Had they been overarching season plots, I could see why further time was needed, but the pacing made things segmented. And, we were left with an overabundance of filler scenes to make up for the stretch. The Walking Dead suffers from this issue as well. In their case, an entire season with no significance could go by until the big plot points were hit. Black Lighting shouldn't follow suit. Black Lightning has so much more story left to tell, and a bountiful source material to pull from. Each chapter should be more impactful and valuable than the last. Jennifer's story partly suffered from this flaw. Setting aside her mind-boggling and reckless decision to still run away, she went through a significant character growth. The prospect of losing Khalil in this tension-filled situation reevaluated her priorities and pushed her to discover her new powers. In the face of death, she pulled herself together to do whatever it took to keep Khalil alive. Jennifer embraced her powers to steal the medicine and to learn a new ability. This move was a far cry from the girl who emotionally ran away from her metahuman identity due to fear. Jennifer's character development might be slow, but it's still happening. A glimmer of hope of "Lightning" luckily came through the mess she put herself in. Though, we can't ignore the fact that she still kept running away, even after knowing Tobias would never give up his search. Jennifer: I thought you were dead. Khalil: Come on, Jenn. You know you can’t get rid of me that easily. Khalil: I love you too. Jennifer: Don’t scare me like that, please. Don’t leave me out here. Khalil: I got you. It’s okay. Permalink: Don’t scare me like that, please. Don’t leave me out here. We can thank Perenna for Jennifer's breakthrough. 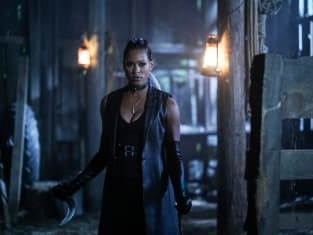 The supernatural salon proved to be an essential part of Black Lightning's world based on how it positively helped her. The duality of the doppelganger symbolized Jennifer's other half; the hero who she could become if she believed in herself. Jennifer 2.0 had an air of confidence, strength, and reassurance that exuded through their dialogue. She has the power to become this person, but it would take courage to truly believe in herself. We as viewers got a subtle glimpse to the (potential) future. With the doppelganger's guidance, original Jennifer channeled her ionic sonar ability in a time of need. Just imagine what else she could learn if she listened to her inner self more often! Hopefully, as Jennifer continues on her road with Khalil, she visits the supernatural salon more often to talk to herself. If there's anyone she could trust best, it would be her inner self. Khalil: No. No, this is a memory I’ll keep for myself. But, I knew then that you were special. Permalink: I remember when I first saw you. Though, that's not to say she can't trust Khalil. Jennifer telling Khalil that she loved him took their relationship to the next step. No jokes, no sarcasm, and no witty retorts; the pair brought their true intentions to the forefront. They finally had a purely honest conversation for once. Their love for each other seemed obvious; no one would go on the run because of only crushing someone. But, they needed to have this discussion to grow their romantic development and set the tone for their next adventure. Jennifer and Khalil are fully in this together. They're fighting to the end and watching each other's backs against any threat. Still, I'm calling it now that Khalil will be killed off soon. Black Lightning prepared us with their emotional reminiscing of the past and pushing Khalil's life to the brink. The show wants us to feel for their love that spanned years, and the possibility of the ship ending. Their romantic connection ramped up only to eventually severe at a pivotal moment. On the opposite side of the spectrum, Anissa, Jefferson, Gambi, and Lynn ended up in filler limbo. Jefferson, Anissa, and Gambi trapped themselves in a never-ending game of cat-and-mouse that took longer than it needed to be. The group always seemed to be one step behind Jennifer and coming in after the drama ended. Their appearance only served to provide exposition and narrate Jennifer's moves. Gambi: Giselle Cutter. Assassin, tracker, world-class martial artist, mercenary for hire. Jefferson: Is she a meta? Gambi: There are rumors. People have had her lined up point blank and they’ve missed. Gambi: Bullets never hit her. And it’s also been said that she can literally throw knives around corners; that says to me low-level telekinetic. Permalink: Giselle Cutter. Assassin, tracker, world-class martial artist, mercenary for hire. This frustration translated to the character's actions as well. In what world would Jefferson openly risk exposure as Black Lightning? Regardless of desperately searching for his daughter, he would NEVER blatantly use his electric powers in public. This decision went against everything he stood for, and what he preached to Anissa about their heroic responsibilities. Jefferson always was the moral compass. His sharp change in personality to fly off came across as a convenient plot device. Lynn's confusing plot, on the other hand, had no reasoning behind it. She already knew that her family was following Jennifer's tracks, so why did she think tracking down Khalil's father would be the solution? The pair's location was up in the air, but Nichelle basically confirmed that Khalil wanted nothing to ever do with his father. They wouldn't be going there. I understand why she sought comfort in talking with Nichelle; both mothers were in the same situation with their kids gone. But, the father only served as a convenient plot to keep Lynn busy. Unless there's a payoff at Khalil's apartment, this goose chase wasted essential screen time. On the other hand, Lynn's search further supported the storyline of her deteriorating state. Her fears and depression pushed her into desperate acts, like searching for a flimsy connection and arming herself with a weapon. Lynn should not be armed at a time like this. We should be worried about her because she's scared, anxious, and desperate to find her daughter. She could've done something reckless in her pursuit. Tobias: Here, I’ve saved you the best seat of the house. Tobias: Now, if these women aren’t to your liking, I can get you others. Or, if you prefer men? Todd: No, no, but thank you. I actually prefer to not be touched. That would be my preference. Tobias: Ladies, you heard the man. Go. Tobias: This is what they call the good life, Todd. And you better get used to it because that old life doesn’t exist anymore. Permalink: Now, if these women aren’t to your liking, I can get you others. Or, if you prefer men? What plan does Tobias have up his sleeve for Todd? I felt so bad for the grad student when he got denied the fellowship opportunity. They clearly were bought off by the rich family, but they couldn't admit it or face legal charges. Hopefully, karma gets them one day. 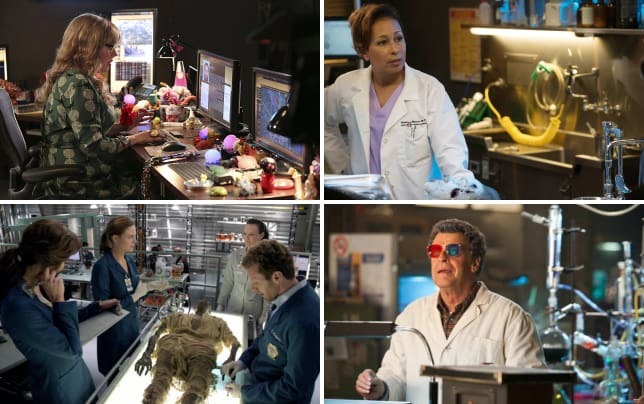 Whatever Tobias needs from Todd, it probably has something to with regeneration or experiments with green light. Tobias loved creating super soldiers; maybe this is his second attempt? 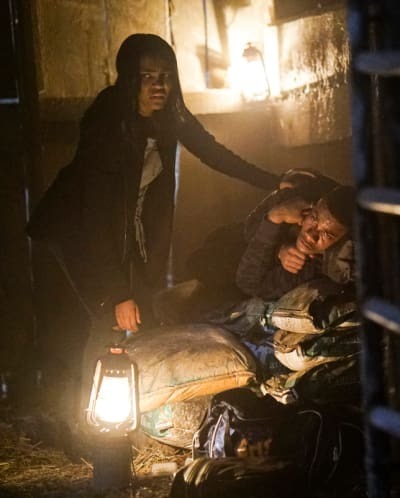 Or, crazy theory, he could be trying to bring his sister Tori back from the dead? Let the theories flow. I groaned when Gambi, Anissa, and Jefferson had their "ah-ha!" moment for how to find Jennifer. This trope is such a cliche since it basically dumbs-down the explanation to the audience. How did Jennifer know which medicine to pull from the hospital? That specific knowledge would require some training. We learned a lot about Cutter, so she will definitely make a reappearance in the future. Jennifer will regret keeping her alive. The new metahuman assassin at the end meant business. There's no way Khalil or Jennifer will be able to hide from him. What did you think of "The Book of Rebellion: Chapter Two: Gift of the Magi"? What plans does Tobias have for Todd? Will Lynn find anything strange at Khalil's apartment? Are Khalil's days numbered with this new threat coming to town? 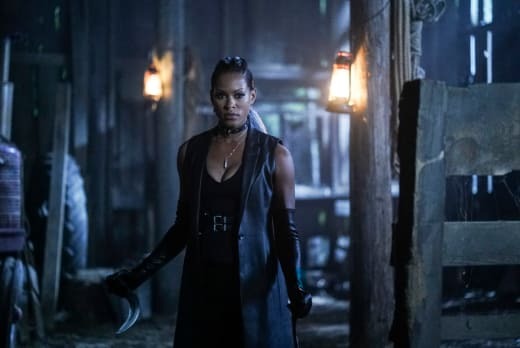 If you missed the latest episode of Black Lighting, you can watch Black Lightning online via TV Fanatic. Come back here and share your thoughts in the comments.